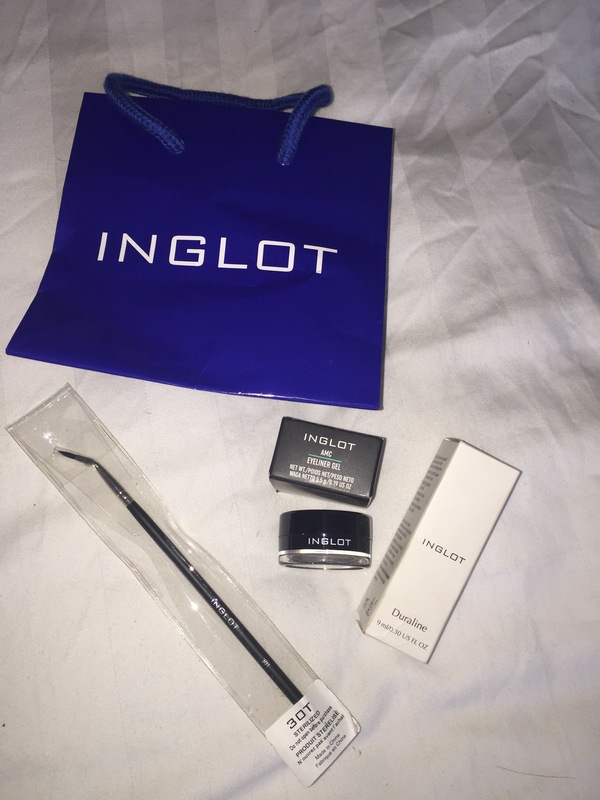 I love lots of products from Inglot but here are the items I couldn’t live without. No.77 eyeliner gel is a kit staple as it’s the blackest black eyeliner. It does annoy me that it dries out so quickly in the pot but that brings me nicely to my second staple product. Duraline makes the liner flow and more pliable. Just add a drop to your mixing palette and add to your liner and you’ve a perfect consistency to get gorgeous lines again. The brush pictured is the 30T it’s an angled brush I’ve yet to try but I’m planning on using this for the inner corners of the eye to get a nice clean finish to my lines, I’ll let you know how I get on. Do you like Inglot? Have any favourite products you couldn’t do make up without? I really want to try out the inglot gel liner!